FRESNO, CA—A former executive of a now-defunct nonprofit construction training company will serve nearly two years behind bars after exposing dozens of California high school students to asbestos hazards during a renovation project nearly a decade ago. Joseph Cuellar, 74, the former administrative manager of Firm Build Inc., was sentenced Monday (June 29) to 22 months in federal prison and 44 months in state prison, according to authorities. The terms will be served concurrently, prosecutors said. Three former executives of a nonprofit construction training company called Firm Build have been sentenced to 22 to 27 months in federal prison after exposing high school students to asbestos hazards nearly 10 years ago. From left: Joseph Cuellar, Patrick Bowman, and Rudolph "Rudy" Buendia III. Cuellar was the last of three former executives of Firm Build to be sentenced after pleading guilty to one count of knowingly violating asbestos work practice standards of the National Emissions Standards for Hazardous Air Pollutants. Patrick Bowman, 48, the firm’s former president, and Rudolph "Rudy" Buendia III, 52, the construction project site manager, were previously sentenced to serve 27 and 24 months in prison, respectively, according to prosecutors. Bowman and Buendia began serving time last year, while Cueller was ordered to begin his sentence Tuesday (June 29), the Merced Sun-Star reported. The men also pleaded no contest to state felony charges of treating, handling or disposing of asbestos in a manner that caused an unreasonable risk of injury to students, with reckless disregard for their safety, according to the Fresno Bee. 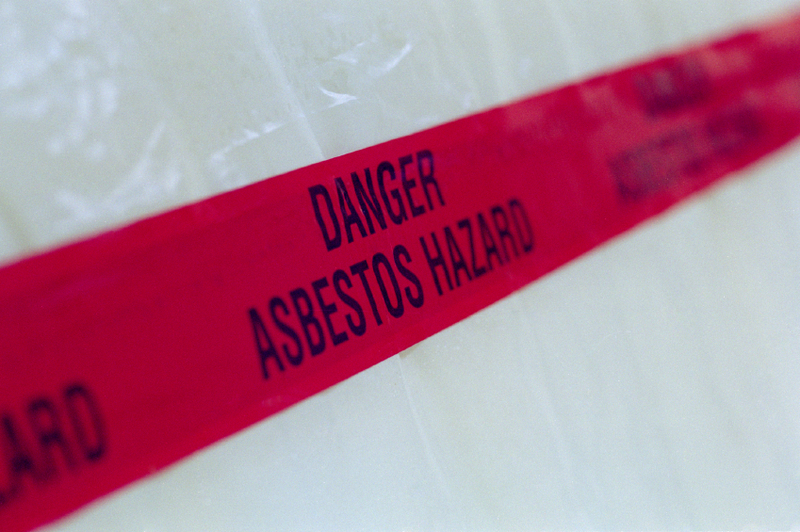 Asbestos exposure is associated with lung cancer, mesothelioma and asbestosis. The victims will be monitored throughout their lives. The plea agreements provide that the time the men spend in federal prison will cover both state and federal sentences, the Sun-Star said. In February, the men were also ordered to pay $1.8 million in restitution to the victims. 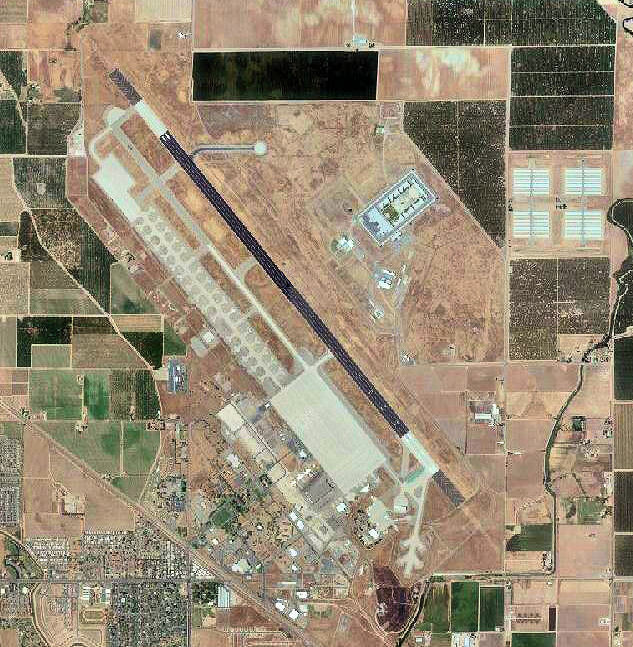 An investigation launched in November 2009 discovered that from September 2005 to March 2006, Bowman, Buendia and Cuellar cut corners on a renovation project at the former Castle Air Force Base in Atwater, CA. They exposed 65 people, many of them teenagers, to harmful asbestos, prosecutors said. Firm Build had been contracted with the Merced County Office of Education to provide job training to high school students through the Workplace Learning Academy program. Bowman also served as the vice principal in charge of the Workplace Learning Academy. During the renovation at the Castle Commerce Center’s Automotive Training Center building, Firm Build directed its employees and the high school students participating in the program "to remove and dispose of asbestos containing insulation on pipe and on other facility components without utilizing proper protective equipment or taking protective measures," prosecutors said. As a result, asbestos fibers became airborne during this illegal asbestos abatement, authorities noted. Many of the students, now in their mid-20s, testified during a hearing in 2013 that the building interior and their clothes were covered in a cloud of dust while they removed the building materials, the Merced Sun-Star reported. The violations stem from cleanup at the former Castle Air Force Base in Atwater, CA. Further, some of them testified that they had to take frequent breaks because the dust became so thick. Many of them reported that they have experienced nose bleeds, chest pains and other health issues. The restitution ordered earlier in the case will go toward the cost of monitoring the lifetime health of the 65 people exposed to the substance during the project. Asbestos exposure is associated with lung cancer, mesothelioma and asbestosis. “There is no safe level of exposure to asbestos,” said Jay Green, Special Agent-in-Charge of the Environmental Protection Agency’s criminal enforcement program in California. The case is the result of an investigation by the Merced County District Attorney's Office, the San Joaquin Valley Unified Air Pollution Control District, and the United States Environmental Protection Agency. Maybe these scum can more to Wisconsin and bid on public works jobs! Does anyone notice a pattern here? Because "We" are so lenient, these people do not learn a lesson. If any of those 65 people contract asbestos-related diseases, do the criminals get more punishment? Probably not, but here they have endangered the lives- lives of our youth. When will "we" acknowledge that a life is invaluable? A fine or jail time is just a slap on the hand. Tell me, what will prevent this from happening again? Fear of authority? Certainly not, or it would have never occurred in the first place. We need an overhaul on government authority; it would seem that none of these "authority figures" actually concern themselves with the human condition. Joseph, 15 of the top 20 largest OSHA fines were against Union Companies. Using your "Logic" I could say it is safer to work with Non-union companies, however reasonable people avoid using generalities to prove their point. There exists a certain element within all segments of society that will work unsafely, cut corners, cheat on taxes, do shoddy work, endanger the public, etc. Union, Merit, Veteran Owned, Minority, Women, Disadvantaged, etc, it matters not. P.S. This is really not the forum for political debate anyway. It is sad to the point of being pathetic that in 2015 we still have folks treating asbestos with such flagrant disregard. This is a material I get to test for on a fairly regular basis and for myself and anyone with me, we go in assuming everything is asbestos containing and with the proper PPE (including Tyvek(R) or similar hooded coveralls, boot covers, gloves and P100 / HEPA filter equipped respirators...PAPRs where possible). It's too bad that people don't realize that, just because it doesn't knock you down there and then like H2S, it's still a lethal substance. I wouldn't wish asbestosis or mesothelioma on even the most heinous murderers in society...it is an extremely cruel fate. Where were the local, state and federal regulators when this was happening? There is a requirement for a renovation/demolition permit application prior to this type of activity. I have worked in this business since the mid-80's. This is not a new requirement. Douglas, it's been that way in my jurisdiction for decades too...problem is, the application only needs notification of the job, info on what you're dealing with and how you intend to deal with it...just because a contractor puts in the permit application doesn't mean that a) that the application is actually factual, b) the regulator will actually read it or c) that there will be any sort of follow-up or inspection by the regulator to vette that what was on the application is what is actually happening. Some contractors know this and take advantage to try to save a buck...heck, in some cases I'm sure if you put that you were doing a low risk abatement of 30 ft2 of floor tile using hand tools and a six simian crew, no one at the regulator would give it a second thought that you were turning a half dozen monkeys loose with hand tools to clean up asbestos. I may be a bit cynical, but there have been too many examples of stupidity to make me think common sense isn't an endangered species these days.